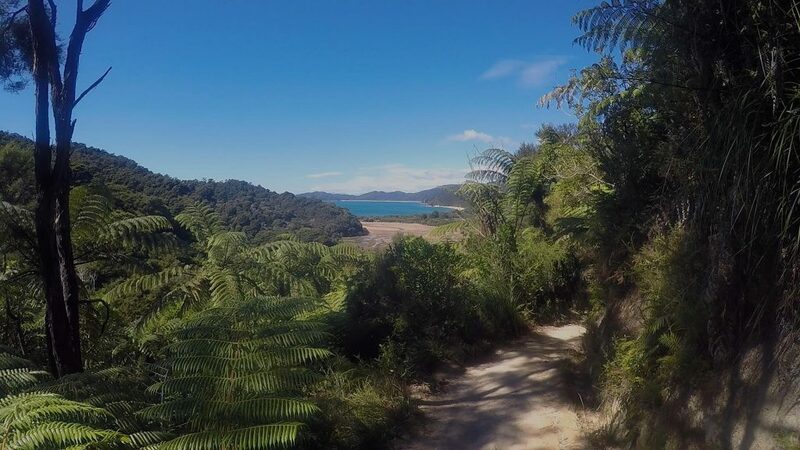 If you’re looking for another stunning day trip on the Abel Tasman Walk, look no farther than Totaranui to Separation Point. This section of the Abel Tasman Coastal Track is arguably the best coastal part of the entire walk. 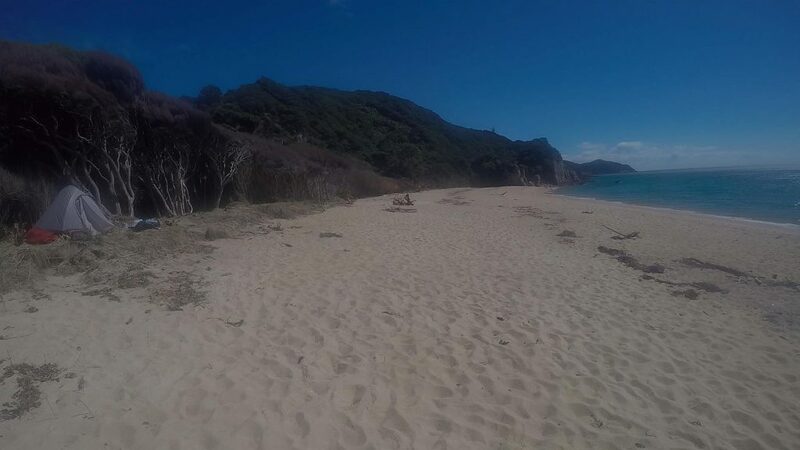 With gorgeous golden sandy beaches of Totaranui, Anapai Bay and Mutton Cove this is an extremely beautiful place to explore. The stunning Abel Tasman National Park is New Zealand’s smallest national park and as the proverb says, good things come in small packages. The Abel Tasman Walk delivers big time and is renowned for its world-class coastal walking, it’s a fabulous place to tramp all year round. Established in December 1942, this marked the 300th year anniversary of Abel Tasman’s visit. The Dutch explorer was the first European to sight New Zealand in December 1642. Tasman and his crew anchored in what is now known as Golden Bay, a short distance from Taupo Point. After an encounter with the Maori they fled the area and continued their journey north, leaving New Zealand’s waters in January 1643, however, they never actually set foot on land. Starting this walk from Totaranui the track climbs over a low saddle and down through lush native forest to Anapai Bay. From Anapai Bay the track re-enters the bush and visits more beautiful beaches and bays with more stunning bushing walking to Mutton Cove. Mutton Cove has two beach walking sections, with a short climb to the Separation Point Track and a short distance onto the Lighthouse at Separation Point. 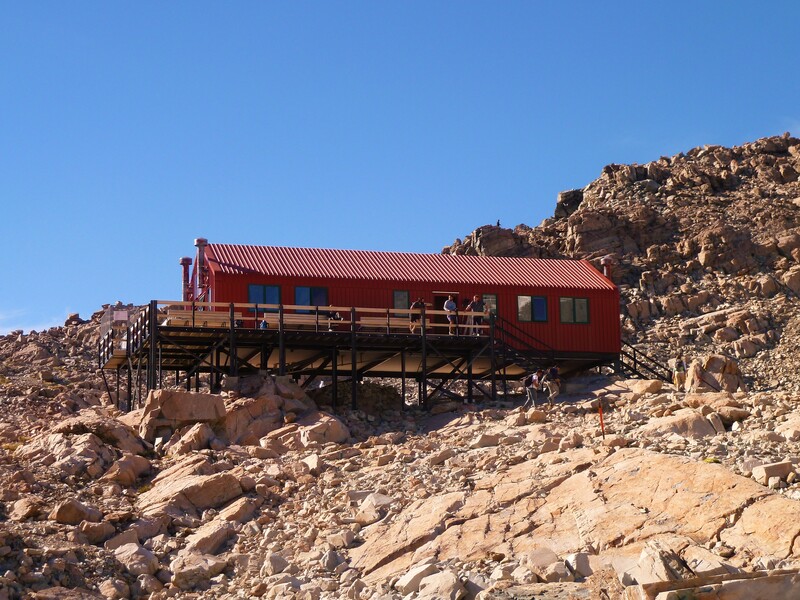 A good level of fitness is required; allow 5-6 hours return for this 16-kilometre walk. Starting from the Campsite Office at Totaranui, there are 2 walking options. Both lead to the same junction at the foot of the climb that links Totaranui with Anapai Bay. There is a low tide track which crosses the estuary at the end of Totaranui beach by the boat ramp. 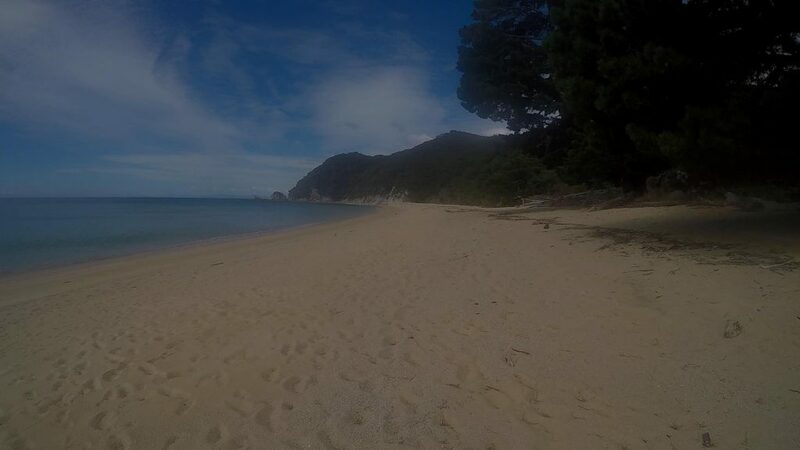 The other is the main Abel Tasman Coast Track which skirts the estuary on the northern side of Totaranui Beach. Check the map for more details. From the junction, the track climbs over a low saddle offering great views of Totaranui. The tracks well-benched and easy to walk on, it’s a beautiful section of the walk and descends through lush forest to Anapai Bay. There is a campsite here and what a fantastic spot to set up camp. Anapai Bay is regarding as one of the finest bays on the coast track…the sands are golden with granite rock pillars at the northern end of the bay. The location is definitely one of beauty. Allow 1 hour for this section. From Anapai Bay the track re-enters the forest at the far end of the bay. The track continues along the coast visiting more beaches and bays to reach Mutton Cove in 30 to 40 minutes. Once on the golden sands of Mutton Cove, there is a nice section of beach walking to the Mutton Cove Campsite. This is another magnificent location for camping. The Abel Tasman Walk heads inland from here to Whariwharangi Bay. Continue along the beach to the rocky outcrop…climb over the rocks and down onto the beach on the other side. On the far side of the beach pick the track up on the left, this climbs to a junction on the Separation Point Track. From the junction, it’s a 15-minute walk to Separation Point. From Separation Point you can return to Totaranui the same way you came or do an inland loop along The Separation Point Track. This track meets the coast track that headed inland from the Mutton Cove campsite. Check the map for more details, this route offers good views and a good alternative to getting back to the Mutton Cove Campsite. It’s an extra 2 kilometres and well worth the effort. Once back in Mutton Cove, return to Totaranui the same way you came earlier. This Abel Tasman Walk starts and finishes at Totaranui. By car, it takes two hours (88 kilometres) to drive to Totaranui from Motueka. Follow SH60 over the Takaka Hill to Takaka. From Takaka follow signs to Pohara and Wainui Bay. Wainui Bay is the starting or finishing point for the Abel Tasman Coastal Walk. From here the last 10 kilometres of road is narrow, winding and unsealed. For other transport options, try the Golden Bay Coachlines. It may not be possible to do this walk using the water taxi from Marahau or Kaiteriteri. Check the numerous operators that operate in the park for more information. For information on camping fees and facilities, check-out Totaranui Campground. I suggest taking the right clothing essentials, food and drink. Carry enough water for the entire walk. For more information on what to bring on the Abel Tasman Walk and other great walks in New Zealand. Check my blog on what to take hiking. Click on Separation Point Walk highlighted at the top of the map. The printing and PDF option at the bottom of this page will print or download the post except for the map. Once selected, choose ACTIONS to print the map. This map gives great information for getting to the start of the track, however, it’s only a guide of the route, for more detail on the track click on the topomap below, and this can also be printed. Find where the ascents and descents are? The map also displays the distance and height at any point on the map? Click on Separation Point Walk highlighted at the top of the map. This will enlarge the map. On the top right, click the box in the corner. This will display; Roadmap, Terrain or Satellite. Select the type of map you prefer. To zoom in and out, click on the plus and minus buttons. Tick the box to show elevation, the graph will appear below the map. Run your cursor over the elevation graph, this will display on the map where the ascents and descents are. It will also give you the distance and height at any point on the map. It’s a useful tool for planning your walk. The topomap below gives similar information, especially the ascents and descents. However, you need to know how to read those maps to get that information. The mapometer map gives you that information and more by simply moving the cursor over the graph. Expect some variation in times depending on conditions and personal fitness levels. I’ve graded this Abel Tasman Walk a medium walk. The track is well defined and easy to follow, the stream crossings are bridged and the duration of this walk is less than 6 hours. Whereas, a hard walk is one that is more than 6 hours, will have long steep climbs, have river crossings and requires good navigational skills. Have fun and enjoy your walk? Interested in seeing a North Island park? 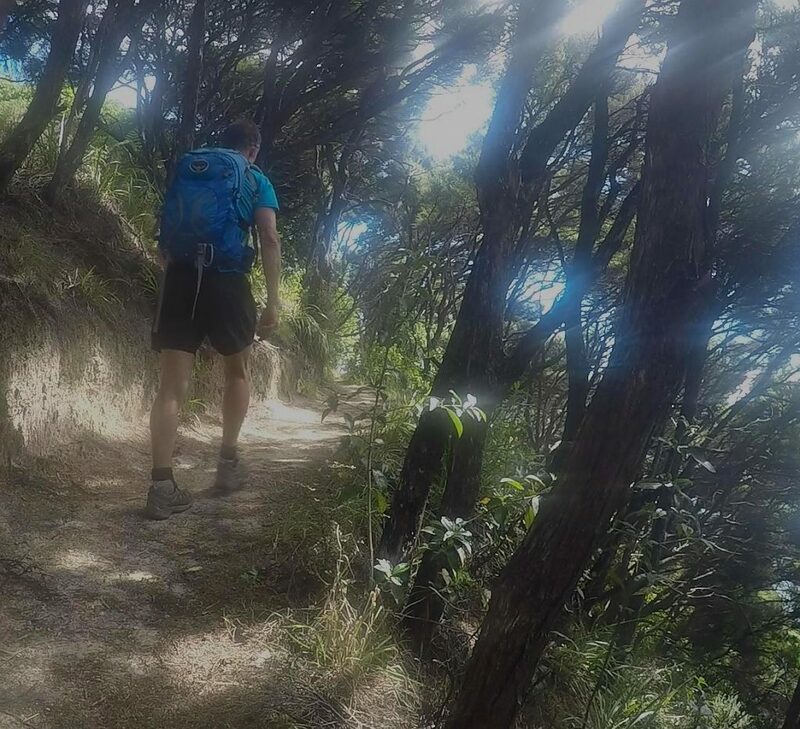 Take a look around the website to learn about other walks, such as the Tararua Forest Park. It’s close to Wellington and has some beautiful day walks. Thanks Hariaty, pleased you enjoyed the post 🙂 Abel Tasman is definitely a beautiful place to walk.